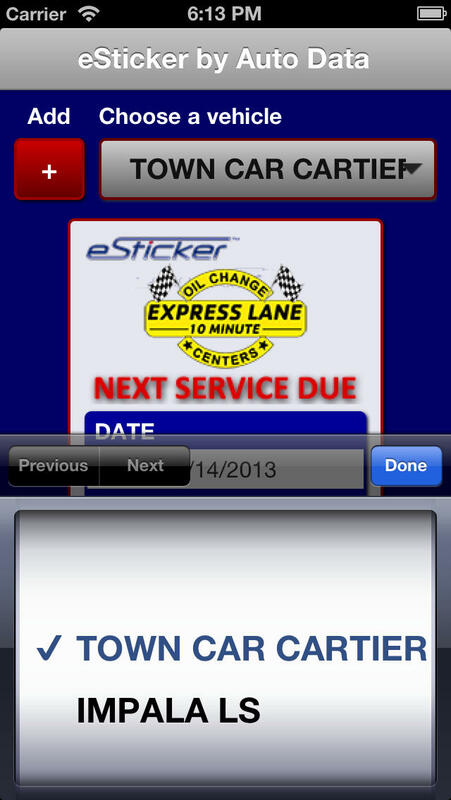 Keep on top of your vehicle's maintenance with this free eSticker app from Express Lane 10 Minute Oil Change Centers. 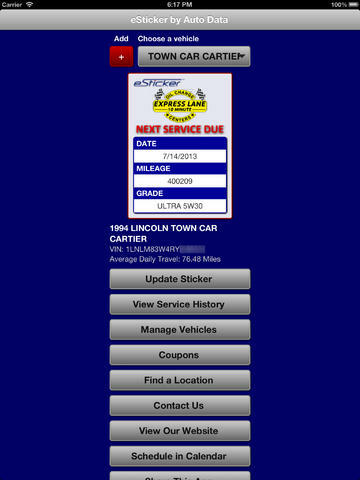 Keep your vehicle's oil change reminder sticker on your iPhone, iPod or iPad. Simply scan the eStickerID printed on your Express Lane 10 Minute Oil Change Center receipt or enter your vehicle's VIN to add it to your list. Stickers for multiple vehicles can be stored by the app so you can keep tabs on all your family vehicles or your company's vehicle fleet. 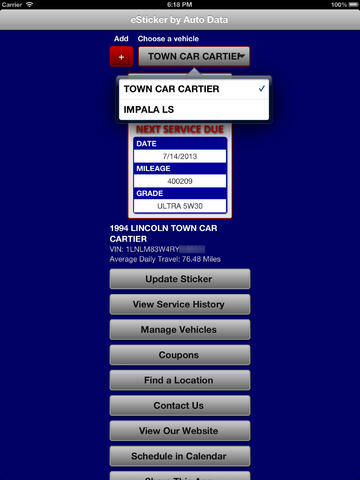 You can even customize your oil change interval preferences individually for each vehicle. 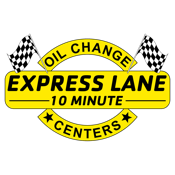 The eSticker app also lets you view a history of all services performed on your vehicles by any of the Express Lane 10 Minute Oil Change Centers at any time, so you'll always know which services have been performed on each of your vehicles, and when they were last performed. Other features include the ability to call up a map to find the nearest Express Lane 10 Minute Oil Change Center.